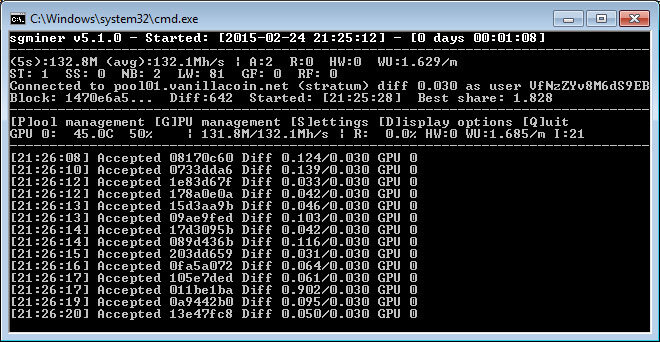 The GPU mining of Vanillacoin (VNL) is picking up and more miners are checking out the previously CPU only coin. 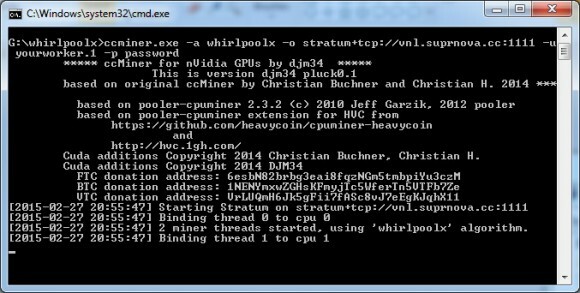 We now have an updated sgminer fork with optimized OpenCL kernel for the WhirlpoolX algorithm that the coin uses that almost doubles the performance on AMD GPUs compared to the previous miner. With the new sgminer fork we are getting a bit over 130 MHS as compared to about 75 MHS that the previously available version on AMD Radeon R9 280X video card with no overclock. So if you are mining Vanillacoin you might want to update to the new miner to get better performance. 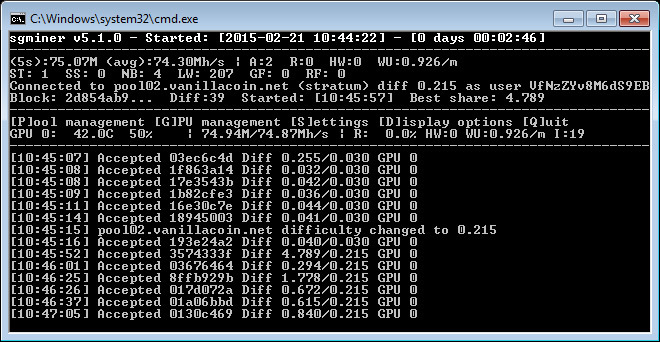 The sgminer fork will work on Nvidia GPUs as well, but the performance that it will have in terms of hashrate there makes it pretty much pointless, but hopefully there will soon be a ccMiner fork optimized for Nvidia CUDA mining of the coin. Vanillacoin (VNL) is not a new altcoin, it has been available for a few months already, but up until recently it was only a CPU coin and now there is an sgminer 5.1.0 fork with support for the WhirlpoolX algorithm that the coin uses for mining on AMD OpenCL GPUs. You can still CPU mine the coin, but with the kind of performance that the GPU miner offers it will be a bit pointless as an Intel Core i7-5820K 6-core processor gets you around 4.4 MHS while with the GPU miner on a Radeon R9 280X you can expect to get something like 75 MHS with the default setup. Do note that the coin still does not have an exchange where it is traded, but soon after the release of the AMD GPU miner MiningRigRentals has added support for the WhirlpoolX algorithm and there are currently 6 mining rigs available for rent, BetaRigs also did that but still nobody selling hashrate there. There are currently two official pools available with no need for registration, but be aware that if you mine with more than 10% of the pool combined hashrate then 90% of your earnings will be sent to the Vanillacoin faucet. You can download and try the GPU miner for Vanillacoin’s WhirlpoolX algorithm from the link below.